Donna Fraiche is a shareholder in the New Orleans and Baton Rouge offices of Baker, Donelson, Bearman, Caldwell & Berkowitz and a member of the Health Law and Public Policy Departments. She is chair of the Firm's Nominating Committee and past chair of Women's Initiative. Ms. Fraiche serves as the Honorary Consul-General of Japan for New Orleans. She served as the first female President of the organization now known as the American Health Lawyers Association and is currently a Fellow of the Association. She concentrates her practice in the general representation of health care organizations, companies and individuals in major regulatory, public policy and litigation efforts. 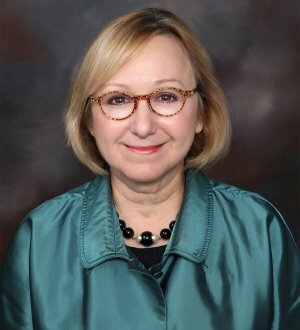 Chair of the Louisiana Health Care Commission, Ms. Fraiche is a former member of the Louisiana Recovery Authority (LRA) and served as Chair of the Long Term Community Planning Task Force and the Health Care Committee. She is President of the Louisiana Supreme Court Historical Society and was the LRA delegate to the Louisiana Health Care Redesign Collaborative chartered to develop and oversee the blueprint for health care policy in Louisiana. She has served as Chair of the Board of Trustees of Loyola University and delivered the commencement address at the Law School graduation in 2001. She served as President and Chair of the Board of the World Trade Center, was a founder of the New Orleans Regional Medical Center, and is a diplomate of the American College of Health Care Executives. Ms. Fraiche is Past-President of the Louisiana Bar Foundation. Ms. Fraiche has served on the adjunct faculty of Tulane University's School of Public Health and Administration and served as a preceptor for the residency program in health systems management. She is Past President of the Louisiana chapter of Appleseed, a network of public interest justice centers, and served on the board of the New Orleans Pro Bono Project. She is a former appointee of the Committee to Evaluate Requests for the Creation of Appellate Judgeships and a former member of the Judicial Campaign Oversight Committee by appointment of the Louisiana Supreme Court. She participated in the Council for a Better Louisiana’s Leadership Louisiana 2005 program. She has served as a delegate to the Conference, "Governing in the Global Age" at George Washington University, The Elliot School of International Affairs.